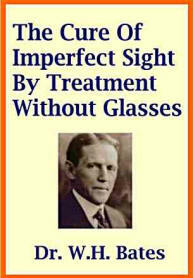 * Deepen and expand your knowledge and understanding of Natural Eyesight Improvement based on the Bates Method. * Explore and develop your one-to-one work with your pupils. * Have access to professional supervision of client work. * Work together to share and explore this work. * Get an opportunity to have a personal lesson and also increase your understanding of your eyesight. Places in the group are limited to eight (8) participants. English is the common language of the participants so it is suggested that participants are sufficiently fluid in English to get the most benefit of the experience. If you would like to participate, please contact me. Details below. Aileen is a Natural Eyesight Teacher and has been in practise for over 20 years. She has built up several successful practices in Edinburgh, East Lothian and another in London. She holds a Master of Science (Education) degree from Edinburgh University and is a professional educator of many years both in Canada and Scotland, and was also an external examiner/assessor. She has many years of experience both as teacher and trainer of teachers. She is the co-founder and principal teacher of the College of Vision Education (www.batescve.co.uk). In her private practice Aileen teaches Bates Method either individually or intensive courses also running workshops for natural eyesight. She also offers courses in therapeutic communication and counselling. Aileen has led Bates Method workshops at Meir Schneider's School of Self-Healing in California. She has also presented at the "17th International Conference of Holistic Vision" in Paris and at the "2nd Natural Vision Conference" in San Francisco. In October 2011 she co-presented a workshop on binocularity ("One eye .. good ! Two eyes ... better !) at the "XXIII International Conference for Holistic Vision", held at Malpensa, Italy. Aileen co-organised the "British Natural Eyesight Conferences" (www.bnec.org.uk) held in October 2008, 2010 and 2012. In 2012, the theme was "Low Vision and Eye Disease: See better - feel better. Learn how to understand and manage your low vision or eye disease using natural eyesight methods." She co-presented a teachers only workshop on "How to work with clients experiencing low vision". The weekend is over, very successful and beneficial for all who attended. Edinburgh provided good weather and the new venue we were working in was excellent with some sunning activities, relaxation, a night vision walk in the park, time for relaxation in the park (and running along the canal for some!). We worked in a bigger room to make correct eye test and work on prescriptions. Each of us had an individual session and others could benefit of Aileen's way of teaching, working also on emotional and psychological levels where lay the causes of impaired eyesight or pathologies. Many subjects were covered and discussed at great length. All left at the end with their knowledge of Bates, and each other increased.